“Disunity is at the core and root of our national woes. An anarchic condition does not conduce to the development of a country. Nigerians are intensely aware of their ethnic backgrounds and religious affiliations. Ethnic consciousness or chauvinism and religious bigotry are factors that bifurcate a country, and pit one ethnic group against another“. 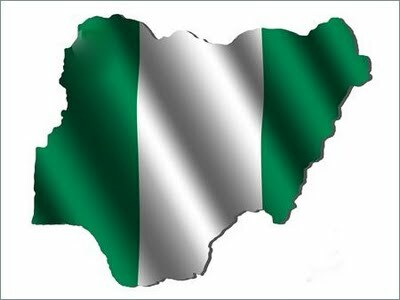 HAS God not blessed Nigeria abundantly? Nigeria is immensely blessed by God based on any benchmark for assessing blessed countries. Crude-oil is deposited beneath our soil in large quantities. Coal, which can be used in generating electricity, is found in Enugu. Limestone is found in different parts of Nigeria. More so, we have a mild and equable weather conditions which are favourable for agricultural practices. And our large land mass is very arable and fertile. Unlike in Europe and America, natural disasters do not kill people here; neither do they devastate our buildings and public infrastructure. Not only is Nigeria blessed with natural resources and good climatic conditions, but also it has a humongous population. One out of every five black person is a Nigerian. That is a proof and measure of our huge population. Millions of Nigerians in the Diaspora are contributing towards the development of their host countries. But, Nigeria has remained, lamentably, in the wood of economic backwardness and technological underdevelopment. For all our human and material resources, Nigeria has failed to realise its potential. At best, it has remained continuously the potential giant of Africa. Why is this the fate and condition of Nigeria? Disunity is at the core and root of our national woes. An anarchic condition does not conduce to the development of a country. Nigerians are intensely aware of their ethnic backgrounds and religious affiliations. Ethnic consciousness or chauvinism and religious bigotry are factors that bifurcate a country, and pit one ethnic group against another. Not a few countries had unravelled owing to ethnic distrust and religious intolerance. Ethiopia split into Eritrea; South Sudan emerged from Sudan. Kenya is still being ravaged by ethnic problem. Back to Nigeria, since the amalgamation of the Southern and Northern protectorates into one country called Nigeria, it has had instances of ethnic secessionist moves carried out by some ethnic groups. The Hausa / Fulani threatened to secede from Nigeria in their nine-point programme in the 1950s. The gratuitous Nigerian-Biafra civil war raged between 1967 and 1970 with its calamitous consequences. Since the end of that war in 1970, and till now, Nigeria has not known true peace and unity. Today, a minority Southern Christian is our President by twist of fate and political default. President Goodluck Jonathan’s emergence as our leader is believed to be providential. But it is obvious to percipient and discerning people that his occupation of the presidential seat irks Northern people to no end. The Boko Haram group stepped up its murderous activities soon after President Jonathan won the 2011 presidential election. Till now, there is no let-up in the egregious and destructive activities of the group. The group has engaged in territorial expansionism, having hoisted their flag in some towns in Borno, Yobe, and Adamawa states. Our security apparatchik appeared to be overwhelmed by the Boko Haram group. So, can elections be conducted in those states that are in the firm grip of Boko Haram? Will states whose citizens are disenfranchised in the presidential election accept the presidential election result as a reflection of their choice and will? The unabating and unending Boko Haram insurgency is a portent of doom for Nigeria. It is evident that political storms are gathering over Nigeria’s landscape. Will America’s prediction that Nigeria will disintegrate in 2015 become a reality? Sadly, some notable Northern politicians are engaging in sabre-rattling in order to frighten and compel Jonathan to relinquish power. And, they are stoking up tension in the country with their inflammatory speeches and utterances, vitriol, and divisive actions. In a country where some people are with ethnic chauvinism, unity, which is a force for national development, is not guaranteed there. It is a common knowledge among us that some people from an ethnic group, the North West, are with the mindset that they are born to rule. The battle to wrest power from Jonathan at any cost is the reason behind the formation of All Progressives Congress (APC). Sadly, APC, which is ideologically hollow and deficient in internal democracy, is not a better alternative to the ruling Peoples Democratic Party (PDP). If anything, it is a bad copy and imitation of the ravenous and rapacious ruling PDP. Is Nigeria not inching steadily towards anarchic situation, what with the intermittent flare-ups in Plateau State and the eruption of communal clashes in Nassarawa State? And, we are a few months away from the dates on which the national elections will take place? More so, some days ago, parliamentarians from the lower chamber of the national assembly were barred from entering the premises of the national assembly. They wanted to deliberate on Jonathan’s request for extension of the state of emergency in the North East states of Yobe, Borno and Adamawa. Is trouble not brewing within the geographical space called Nigeria? Until Blaise Compaore was chased out of his presidential office, nobody believed that the Burkinabes are capable of embarking on sustained mass protests. Blaise Compaore ruled Burkina Faso with iron-fist for 27 years after killing the charismatic revolutionary, Thomas Sankara. Some revolutions are spontaneous and unplanned. Let us learn from the Burkina Faso’s example. The people’s discontentment and disillusionment, the Boko Haram insurgency, kidnapping, armed robbery, INEC’s incompetence and communal clashes, if not handled tactfully and expeditiously, can cause Nigeria to bowl over. Although our shared common historical experience is the only common factor as well as the thread that has united us, we can still achieve national unity and cohesion if we set our hearts and sights on making Nigeria an oasis of peace. Okoye is poet and civil servant in Uruowulu-Obosi, Anambra State.